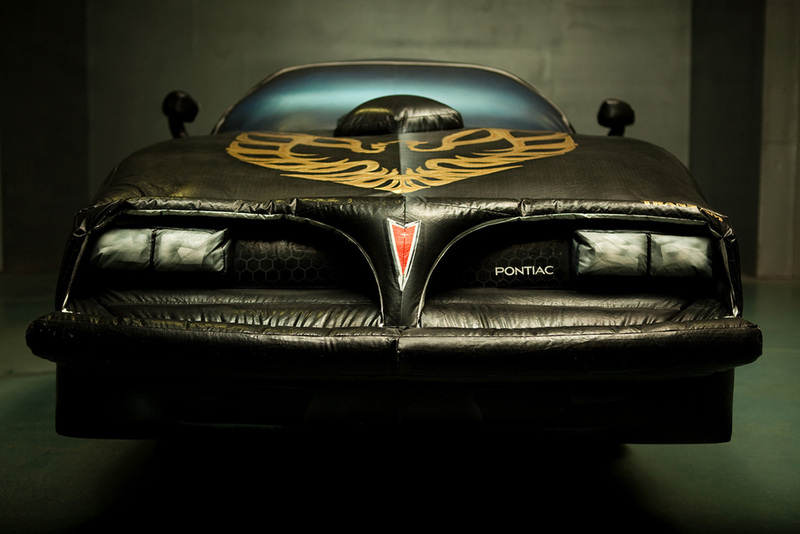 Best known for his burn-out works made using a 1977 Pontiac Trans AM as an artist's utensil and subject matter, San Francisco-based Guy Overfelt's projects are raucous explorations of the American dream via car culture. His body of work presents a special mix of printmaking, performance and sculpture that investigates the modern industrial complex by expropriating the symbolic brands of automotive corporations. The videos presented here are not new (they are from 1998) but they are particularly relevant in 2011. The decline of Toyota's global position as a result of a series of recall scandals has been exploited by a resurgence in American automotive momentum. Though the Pontiac brand met its demise during the great economic shakeup of the past three years, GM and Ford appear to be rising once again, just like the Phoenix emblazoned on the hood of the Trans AMs in Overfelt's works. 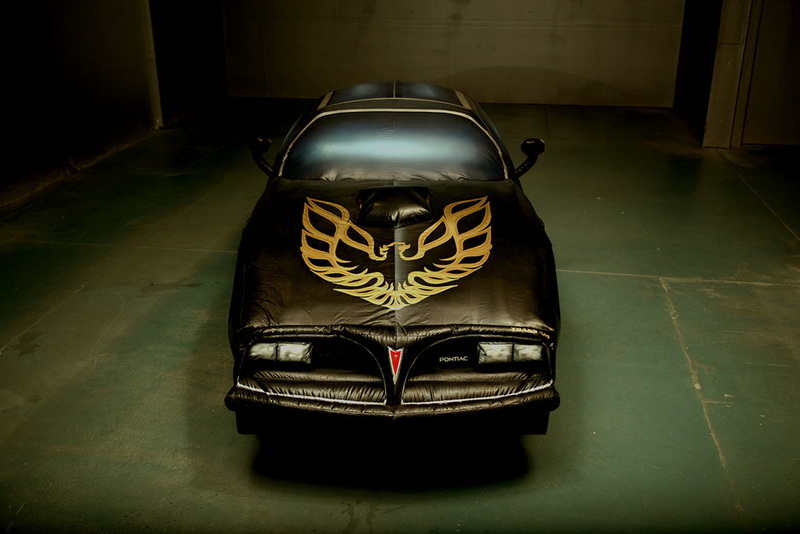 In 2010, Overfelt exhibited his 1977 Trans AM in the exhibition "Freebird" at the Oakland Museum of California. However, after a fifteen year history making work with the car (which required an ongoing series of repairs and alterations), the artist finally put the machine out of its misery when he had it crushed into a cube. This hunk of metal was presented in the exhibition alongside an inflatable effigy of its former glory.